There are times when I wish I wasn’t as accommodating. Yet, I only have myself to blame for it. I try to do things with the best intentions, but sometimes things just don’t work out. In this case, it all has to do with my DPS specs. A while back now, I decided to change from feral cat DPS to a boomkin because the guild needed more ranged people. I volunteered, because I always wanted to try the spec out and see what it’s like. One of the biggest problems is that I barely make it to the raids due to real life schedules, so in the end I didn’t really do much to help the guild out with getting a ranged class. Finding that I was missing being feral DPS, I decided to change my second spec (feral tanking, which I had not used once since I got the spec set up and reforged all the gear) back to a kitty and tried it out in a heroic to see how I would do. For comparison, as a boomkin I would average around 8-10k DPS – which is not very good at all – by any comparison for my gear level. After doing a heroic Zul’Aman, my average DPS for the entire instance was around 13.6k, and my highest was around 18k for Nalorakk. At first I thought it was just that instance, but after thinking more I realized that it’s just something I’m so used to doing that it flows easier. One thing I was really bad about as a boomkin was my DoT uptime. There were some fights where I was below 30%, because I just forgot to reapply it with being so focused on my regular rotations. Fortunately as a kitty, the DoTs that I use aer some of the most important parts of my rotation and come naturally. That in itself is a great way to make sure I don’t slack. Plus, I found I was getting bored with being a boomkin. There were definitely fun parts about it, but altogether I was finding that I was just there and not being very excited to instance or raid at all. Perhaps that’s how I got my priest to 85 so quickly, because I just wasn’t feeling it. Whatever the case, I’m definitely back to being a feral DPS spec. I had so much fun with it through my first instance, I don’t care how many rogues and other ferals I have to beat up to get my gear. As well, if I needed any other reason, the staff that Fandral will drop from Firelands in 4.2 turns cat form into a fire cat form. ‘Nuff said. I’m back to a melee state of mind. I have mentioned before that I was working on a goblin priest for an alt, something I’ve wanted to do for a while. That priest is finally level 85, and heroic ready… but the process was a little bit different from the expected. Originally, my thought was to try to level through the dungeon finder to work on healing skills as I had never healed on a priest before. It worked out well for quite a while until level 41, when I got too frustrated at other people and then decided to just take the plunge and quest with a shadow spec. This ended up being a good plan, as I now have the basics of both specs down. The thing that was scaring me was the idea of healing Cataclysm instances. On my druid, I have done all of them multiple times (excepting the new Zandalari ones), so it wasn’t that I didn’t know the fights. I had the simple fear of failing at something that I set out to accomplish. Many times I’ve been in a group where there’s been one member that was doing a very bad job at their role and I was afraid that one day I’d turn into them. Once my item level was high enough – unfortunately heirlooms make this a bit difficult, as they’re an item level 1 – I decided to give it a try. From when I first made my priest, I decided to use discipline as my healing spec since it looked like fun, and so far it has been. Having the multiple methods of damage prevention and utilities make it so I have more tricks up my sleeve, and hopefully will make the run go smoother. All in all the regular instances went fairly well. It didn’t stop me from being nervous through all of the runs, but at least we were able to make it through them. The hurdle now is the transition into healing heroics. I’ve done a number of heroic runs with my shadow spec, getting drops and justice points to improve my gear before I try to heal them. As of last night, I am at the point where I think my gear is ready to go into a heroic. There are a few fights that I’m worried about that have high levels of damage, and whether I’d be able to cope with the stress. Unfortunately, I have a bad habit of forgetting to use cooldowns at times. The biggest problems are two of the best cooldowns a discipline priest has: power infusion and pain suppression. Huge increase in healing throughput and huge damage reduction, and I forget to use them? 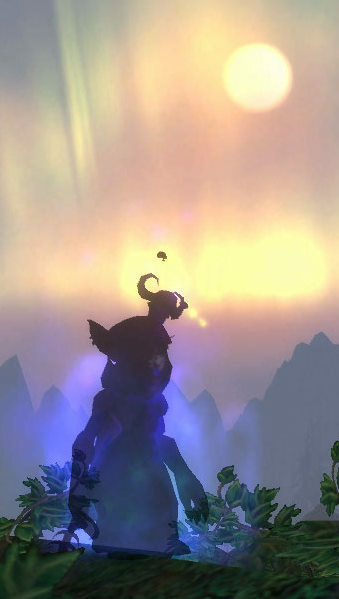 I have to set up some power auras to help me remember, the same I did for my boomkin stuff. My priest has yet to heal a heroic, but I think I’m ready for it. If not, that’s why there’s the option for a dual spec. This post will be about two versions of Power Auras – the one that is built in-game from Blizzard, and the addon that inspired it: Power Auras Classic. A while back, I had installed the Power Auras mod and played around with it. My raid leader had told me about it, and at the time my DPS as a feral cat druid was lacking, so I wanted to try whatever I could. I loaded it up, and very quickly became confused with it and didn’t bother trying it again. Not too long after, Blizzard decided to incorporate their own version of the system into the game itself, with not nearly as much customization. Basically, Power Auras is an alert system that can tell you a number of things. Things like a spell alert which is being cast on your target, when a cooldown is available to be used, or if a certain debuff is not on your target are some small examples. By using these alerts, it can make you that much of a better player by being able to focus on what you’re doing without having to look at too many different places. I personally use a combination of the spell alerts from Blizzard supplemented by Power Auras. I know many people who use one or the other, but out of sheer laziness I decided to go with what was given by Blizzard since it would be less work for me to set up. 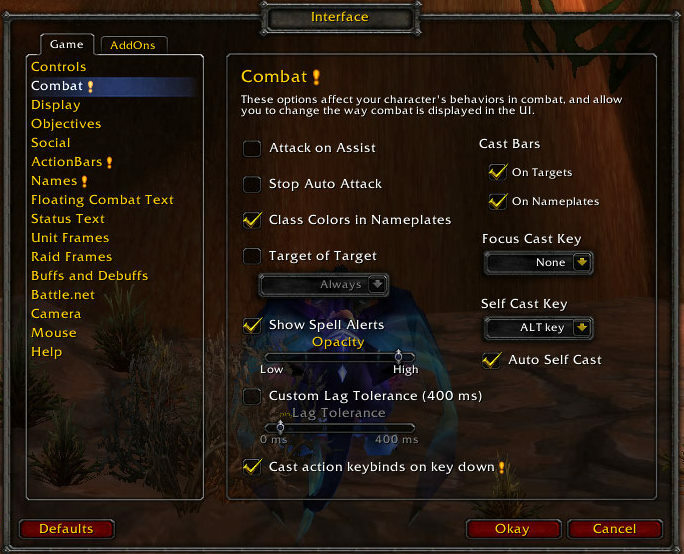 To set up the in-game spell alerts, simply go to Interface Options, the Combat screen, and enable “Show Spell Alerts” (see graphic at right). The opacity slider simply decides how transparent or not the alerts are. There will be a number of pre-loaded things that will happen for certain events, such as Shooting Stars which procs and instant cast Starsurge. If you haven’t used these before, it would probably be a good idea to use them for a bit so you know where they are on your screen and what they look like. If you don’t like them then you can customize those events into Power Auras, and if you don’t mind them like me you can leave them. In my opinion, why fix what isn’t broken? Moonfire or Sunfire (depending on which Eclipse phase I’m in) not on target. 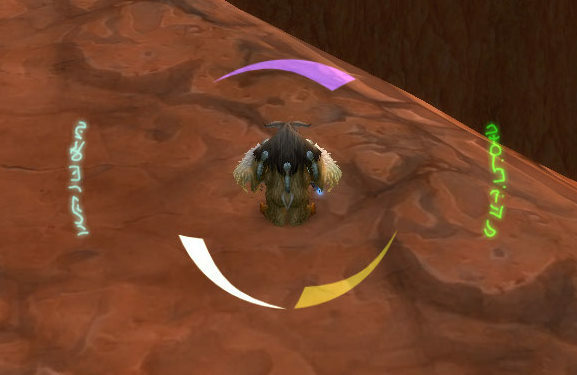 Between the base spell alerts and Power Auras extra information, I rarely ever have to look at my action bar to see if things are off cooldown, unless I want to see how much longer until I need to use it. I have other mods which tell me specific times on cooldowns that I have as well as duration left on the target, so between these different things I’m pretty much set. If anyone has any suggestions on ways that I can improve my setup or things that I have missed, please let me know in the comments. I’m always looking to improve, and would love to hear from you. It’s still Saturday! Time for a SSOTW! 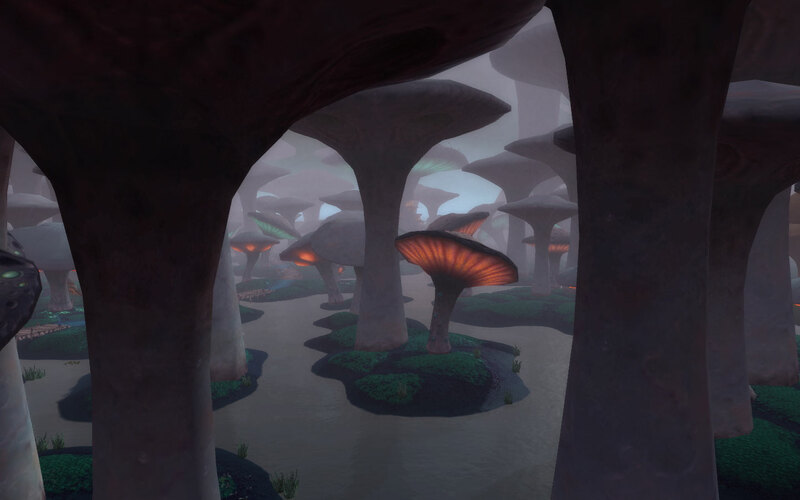 This is a great perspective of Zangarmarsh as I was flying through while leveling my Shadow Priest. It’s still one of the best zones in The Burning Crusade content. Once upon a time, it was said that Shadow Priests can melt faces. After testing out this theory for myself, it turns out that the information presented was indeed correct. For the first time in my World of Warcraft career, I’m playing a “squishy” class without actually being squishy. 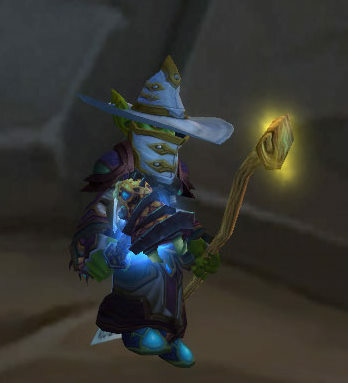 When Cataclysm hit, I had my sights set on making a goblin priest. I’m not sure why exactly I wanted to do that specific race/class combination, but it seems to be working for me so far. The first bit I decided to try to level entirely by using the dungeon finder, and it worked – for a while. Levels 15-35 were fairly uneventful, with decent groups being able to go through a dungeon in a good amount of time without much drama. After that, it seemed every second group would either be completely full of idiots, or people who don’t know what they’re doing. If I was really fortunate, it would be a nice mix of both. I was really hoping to continue leveling through the LFD tool to work on my healing, since I would likely be doing this once I hit max level. However, this didn’t end up happening, and at level 42 I decided to start questing again. Unfortunately, since this character had been parked in Orgrimmar from levels 15 to 42, I didn’t have any flight paths other than Bilgewater Harbour and Razor Hill. Thankfully I had epic riding skill, so the drive down to Dustwallow Marsh to pick up the Thousand Needles breadcrumb wasn’t too big of a problem. I changed over to my dual spec of Shadow, and promptly began to melt the faces of Grimtotems, pirates, and anything else that stood in my way. Since then there has only been one circumstance when I switched back to my Discipline spec for use, which was to heal a tank so we could duo Durn the Hungerer in Nagrand. Apart from that, I’ve only switched over to spend the talent points that I had earned. Fortunately, there hasn’t been any need to do so. While I was leveling my enhancement shaman I found I was able to solo most things, including some group quests which I had never been able to do before. Out of curiosity, I decided to try this in Hellfire Peninsula on my priest. I had gotten the feel of the class by this point, and was comfortable in what to do for an elite mob. After some preparation and making sure I had the proper buffs, the giants for the Colossal Menace quest were destroyed efficiently. I was honestly quite shocked – a clothie that can solo group quests this easily? It was different from what I had expected. (For the record, I have leveled a Warlock previously and they did well for group quests – but having a Voidwalker or Felguard will help quite a bit! Warlocks aren’t that squishy, but I don’t have any experience with one since originally leveling through Outland back in Burning Crusade.) Not having a pet or something to tank an elite mob, while I was able to still do very decent damage and have self-healing… it was a nice feeling. Going through Outland, I was able to solo all group quests in Zangarmarsh and Nagrand (with the exception of Durn). In my brief time in Howling Fjord I’ve been able to solo the one group quest that has come up which has always presented me with problems on other characters, which is March of the Giants – elite giants who do heavy damage, along with a hard-hitting damage over time debuff placed on you. Fortunately a priest’s arsenal includes Dispel Magic, which saved my hide a number of times through the course of that questline. I was able to hit 70 before completing the quests in Vengeance Landing and Camp Winterhoof in Howling Fjord the other night. Originally, I was expecting to level by healing the dungeon finder groups I found with a Discipline spec. I’m extremely glad that I decided to make the switch. It will be interesting to see how things go through Northrend and Cataclysm content. I’ll be wanting to get more healing experience, but being able to melt faces is just so much fun. Rolling this priest as an alt seems to have been a very good idea. The past two weeks have been an interesting time for me. Three different long-time goals that I have had have been achieved, and I’m a little bit lost. These are not just small things, but goals that I have been working on for years. Four months into a new expansion, and I’m already bored. I’m a Loremaster of Cataclysm, I got exalted with the factions that give me the best gear upgrades that I need, and I do my daily heroic when I have the time. I’ve become exalted with Hellscream’s Reach in Tol Barad and have my awesome dragon from them, and I dread having to grind the daily quests again to get another item. My long-time goals that I have completed are not even from Cataclysm, but actually from Burning Crusade. I was able to get exalted with the Sha’tari Skyguard and get the Nether Ray flying mounts, and as a result of that also getting exalted with Ogri’la (again for both – I got this on my Paladin back during BC). Shortly afterwards, I finished up the grind to get exalted with Netherwing and get all the awesome dragons. Finally, this past Sunday I completed a goal that has eluded me for quite a while. Every day for a long time, I would venture into the lair of this foul beast and slay it in hopes that it would drop itself for me to ride upon as a trophy. At long last, it finally happened. 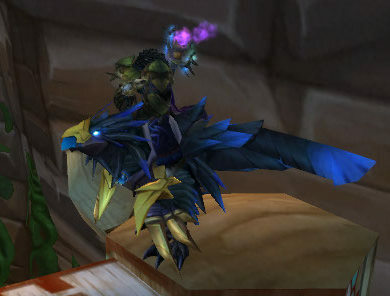 I was excited, had a bit of a gasp as I motioned for my wife to see the loot window, and learned the Raven Lord mount. I do stuff in-game as mentioned before, but it’s not really keeping me entertained. Lately I’ve been working on my goblin shadow priest alt and have been enjoying it greatly, but it’s only a matter of time before I run into the same problem as I have now. I get the priest to 85, run dungeons until I’m raid ready, raid until I have all the gear, but then will I want to do all the extra stuff I’ve done already on my druid? I highly doubt it. This is the classic symptoms of burnout. The game isn’t as enjoyable as it was and I’m trying to find things to keep me occupied. At the moment, the priest is doing the job of keeping me busy and getting a sense of accomplishment. My main character is sitting in Orgrimmar building up cobwebs, which is dusted off once a week to raid. I’ve definitely been cutting down on my playtime lately, and trying other games. I recently bought Magicka on Steam and have been enjoying it greatly. It frustrates me many times as I find new and exciting ways to get my character killed, but still lots of fun. Portal 2 just came out, and I’m hoping I can find a way to get it soon. Looks like I’ll be scaling back on my WoW time. This isn’t a bad thing, as when 4.1 comes out and there’s new features to the game I’ll be rested and ready for them.